Major League Soccer club Orlando City have reportedly hit back at the decision to give Kaka a red card after his playful interaction with his former teammate. The Brazil international received only his second red card of his career during the 3-1 defeat to New York Red Bulls after he grabbed the face and neck of Aurelian Collin who previously played for Orlando. The duo were in jovial mood immediately, however, after consulting the league’s new video referral system, referee Jorge Gonzalez deemed the veteran’s actions to be worthy of a sending off. As a result, Kaka will miss at least one game and Orlando announced on Monday that they would not appeal against the red card although they disagree with the decision. Orlando will play their first home game in nearly a month when they take on strong Eastern Conference opponents Columbus Crew SC at the Orlando City Stadium on Saturday. 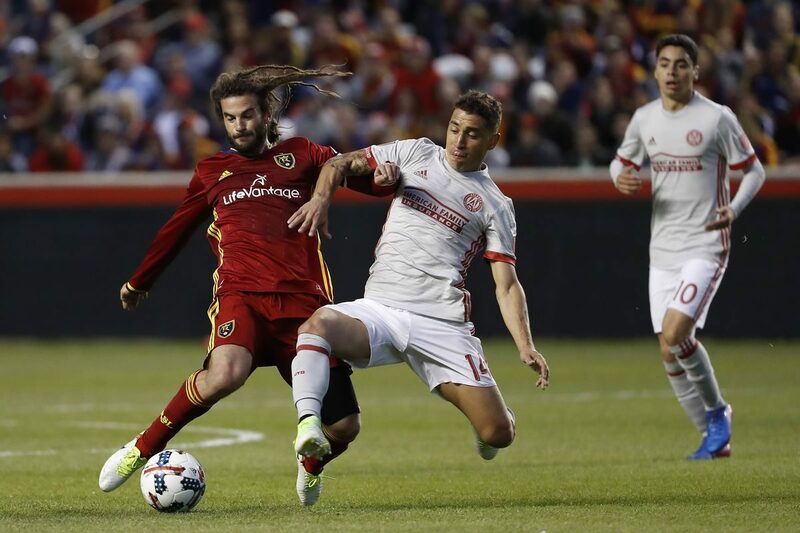 The Florida-based outfit are currently placed eighth in their league standings, and they will have to go on an extended winning run in order to catch up with Atlanta United, who occupy the final playoff spot – with a five point and two game advantage over them. Kaka is the Major League Soccer’s highest-paid player for the third year running with an annual wage package of over $7.15 million.